Just a quick e-mail to say thank you again for your beautiful work at Aimees birthday Party yesterday. 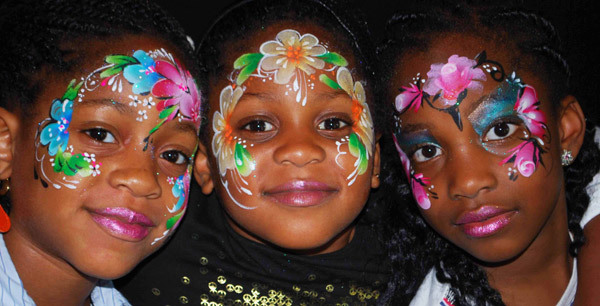 The mums were impressed, one of them said she had never seen such beautiful face painting before. The party was enjoyed by all the children and you paid a huge part in that. I just wanted to say a big thank you also for all your beautiful work at Ciara’s party last Sunday. The adults were all queuing up to be painted never mind the children. Thank you also for my quick mini lesson and helping me to paint my own arm. I felt so proud of it and didn’t want to wash it off. You are truly talented and I will look forward to seeing you again. Copyright © Sparkles Facepainting 2017 - All photos used with parent or carers permission. Please complete the form below to receive a Sparkles quote.